China’s tariffs will hit hard in the Golden State’s farm country. Earlier this month, as President Donald Trump escalated the threat of a trade war with China, US Treasury Secretary Steven Mnuchin vowed to “protect our farmers from unfair targeting” by Chinese tariffs in a CNBC interview on April 6. Mnuchin didn’t mention how the administration would counteract tariffs as high as 25 percent imposed on US agriculture goods. But there’s no mystery as to why the former investment banker would single out farmers for defense in this tariff war. The United States exports $21 billion in agricultural goods to China. And in striking back against Trump’s metals tariffs, China has targeted US farm products like soybeans, pork, nuts, and tobacco for retribution. In a story I wrote a few days ago, I showed that fallout from the hostilities will likely hurt the Republican Party in the heartland, where Trump enjoyed strong support in the 2016 election. A squeeze by China will also cause pain among Trump supporters on the coasts. 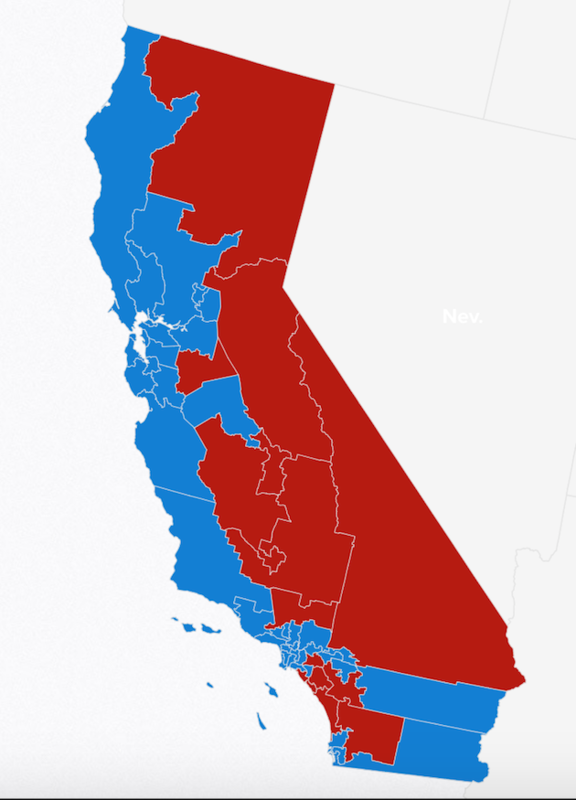 Take California. Two-thirds of California’s $5 billion almond crop go to foreign markets, and China is the second-leading destination after Spain. More than half of the state’s $2.1 billion pistachio harvest is exported. China announced a 15 percent tariff on both nut crops last week, along with a range of other products it imports from the Golden State: wine, walnuts, table grapes, and raisins. 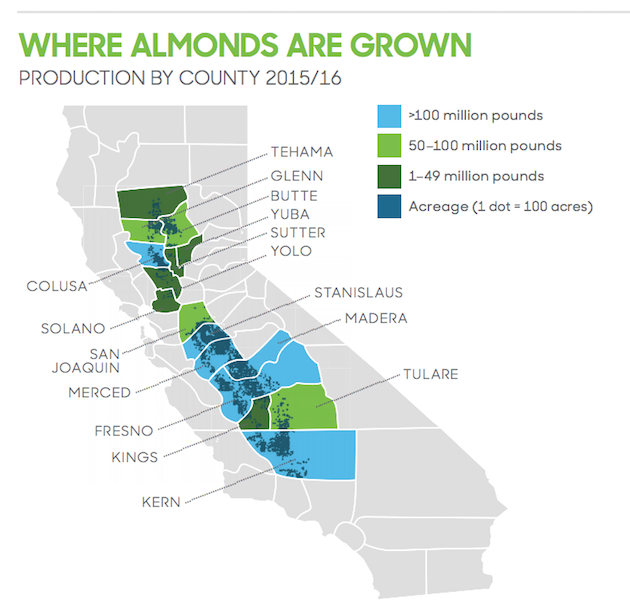 Now check out the region where the state’s $5 billion almond industry—which exports two-thirds of its product—keeps its groves: in the deep-red Central Valley that runs down California’s middle. The fates of two GOP House stalwarts in particular hang in the balance. Rep. David Valadeo represents the heart of almond/pistachio country around Bakersfield in parts of Kern, Tulare, Fresno, and Kings counties. Rep. Jeff Denhem presides just a bit to the north, in a district centered in Stanislaus County. Both land in Cook Political Report’s list of the most competitive congressional races in the US. Hog and tobacco production are both highly concentrated in the state’s eastern half—the heart of Trump country in the state.